It’s very sad that these four candidates did not get to face President Obama and Governor Romney on public TV. I applaud Larry King for taking action and hosting this debate!! 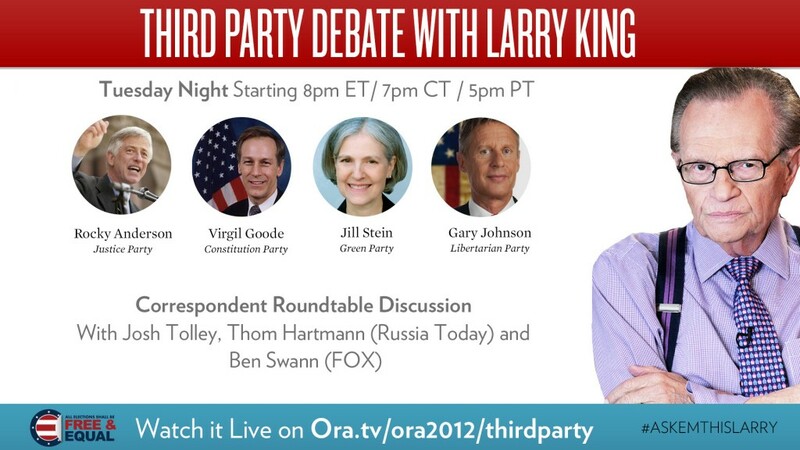 Larry King, the host of Larry King Now on Ora TV, will serve as moderator for a special 2012 Presidential debate. This debate will take place on October 23 at 9:00pm EDT at the Hilton Chicago and streamed LIVE here on Ora TV.